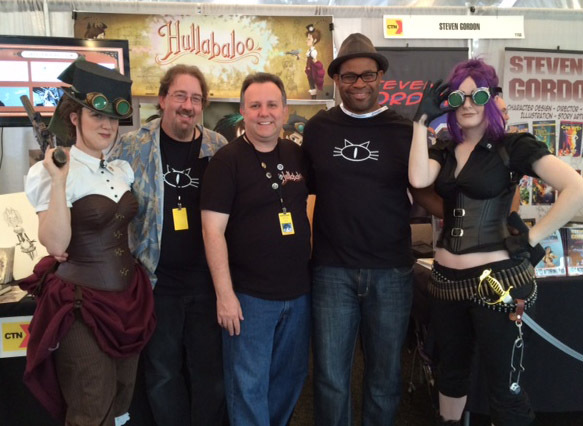 I first met James Lopez at the 2014 CTN Expo where he was promoting Hullabaloo, one of the first traditional animated steampunk series. He was asking for $80,000 to produce one short thru crowdfunding on Indiegogo and ended up getting $470,726, allowing him now to make several shorts. Back in the mid-90s, when James Lopez was working at Disney on traditional animated films like "The Lion King","Hercules" and "The Princess and the Frog". Between films there was downtime, and he was able to use this time wisely to come up with a few ideas which has lead to his current project, "Hullabaloo". First of all, James is a very sincere guy who is not just passionate about traditional animation, but also in learning from others and sharing what he knows. I invited him to show some of his work to our animation students and he went through the whole process from the early beginning to where the most recent phases of the the project. My only regret was that more students didn't show up to hear James's lecture, because they really missed something special. Born out of a sense of wonder and enchantment, one Halloween season, James helped a friend create a Jules Vern looking drilling machine which was a very large Halloween decoration. A group of Cos Players known as the "League of Steam" liked the prop so much ,they used it as a backdrop for a photo shoot. With the right combination of interestingly dressed people, the enormous Jules Verne inspired earth drilling machine and the spirit of Halloween floating in the air, James and his wife experienced that "sense of Enchantment", as James's wife would describe it later. During downtime at Disney, James began to come up with a female character in Steampunk inspired costume and shooting a laser type gun. He was able to do a lot of character designs and even animate a few key scenes. At the time, Disney had invited their employees to pitch ideas to them in hopes to develop these ideas into future features or shorts. Both times James submitted his proposed project, Disney kindly said no. Although they didn't understand it or see a value in it, other people did. Eventually, Lopez added some of his work to his website where over a period of a few months, he had collected 500 Likes. About this time, Evelyn Kreite saw his work and got in contact with him. She asked him to watch his Likes as she went off to work her magic. James watched in awe as his Likes began to grow to 2000 or more in just a few hours. Who was this person? he thought and soon he was working with her to put together his IndieGoGo campaign. 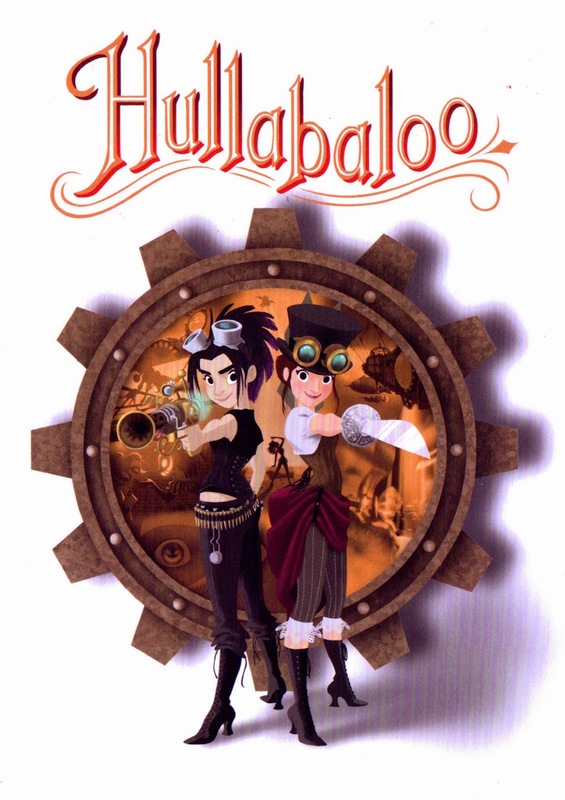 Disney soon had a round of layoffs after "Princess and the Frog" and James was now faced with the idea of bringing back 2D animation with Hullabaloo. 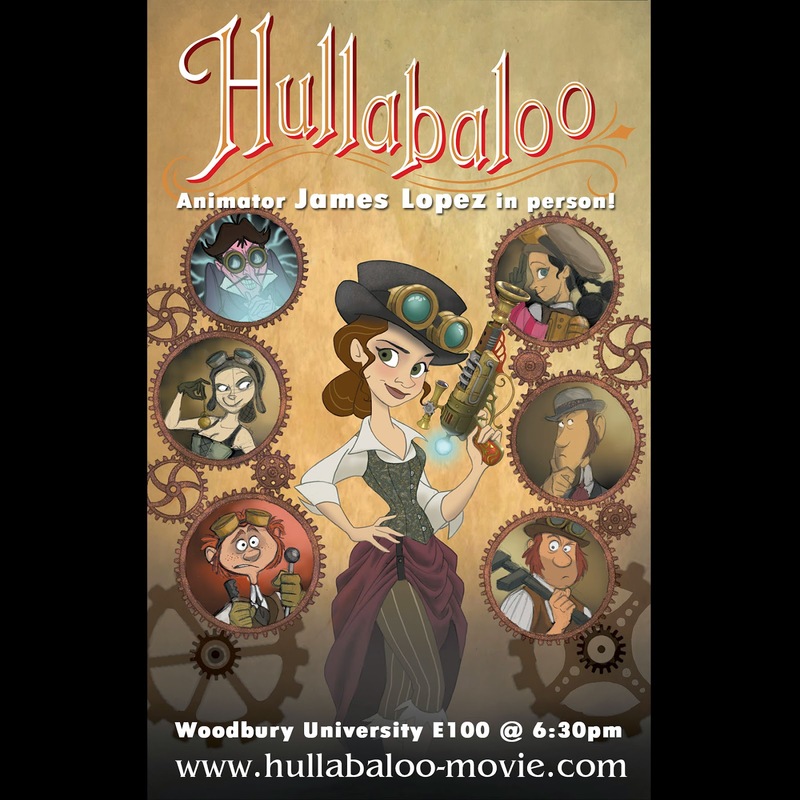 His IndieGoGo campaign is a major success and these days, he is beginning animation with the help of fellow Disney artists who want to make Lopez's Hullabaloo dream come true.